In the UK, there are typically two types of drainage systems. Although they achieve the same thing in terms of directing water away from your property, they do so in a slightly different way. In this blog, we will outline what the differences between these two systems are, as well as the importance of handling rainwater appropriately. If you require any drainage services from a reputable company with experienced technicians, give us a call today on 0808 164 0776. What Is the Difference Between a Single-Pipe and Double Drainage System? Modern homes tend to have a single-pipe system which involves one vertical large-diameter pipe (called a soil stack) running inside the property. In older more traditional homes, it involves a dual-pipe setup. Wastewater and soil water are taken separately to the public sewer system. How Do Single-Pipe Systems Work? As mentioned, in modern times drainage companies have transitioned to a single-pipe system. These large-diameter vertical pipes connect your plumbing appliances upstairs, such as basins, showers, and baths, and take any waste and water to the underground drainage system. Downstairs appliances might be attached to this pipe, although this can vary from system to system. However, almost always a downstairs toilet will be connected directly to the drainage system in order to take the soiled water and waste away directly. These pipes also boast ventilation. The soil stack pipe will travel all the way up to the top of the house and poke out of the top, allowing any unpleasant smells from the drainage system to drift away, far from any windows or doors keeping it out of your home. Although this style of system would not have been installed originally in older homes, many have been updated to this more modern method. How Do Double-Pipe Drainage Systems Work? In older drainage systems, wastewater and soil water were taken to the underground system in two separate pipes. The soil water from toilets is connected to a vertical soil pipe which runs outside the home, attached to one of the walls. These have a large diameter and reaches above the roof to provide ventilation. Wastewater, however, is taken away from the home in a much thinner vertical pipe. This reaches only as far as the first floor, and all the wastewater pipes from baths/showers and sinks will connect to this, specifically into a ‘funnel’ called a hopper head. When this pipe reaches the ground, it will dispense the water into a gully. This gully should be covered my mesh or a grid so as to stop any potential clog materials from entering the system. This is why many people have chosen to update their system. It is entirely possible for the grid to become blocked as debris and detritus build up in the guard. When this happens, the water will have nowhere to go, and if you haven’t noticed, your garden may quickly become flooded. 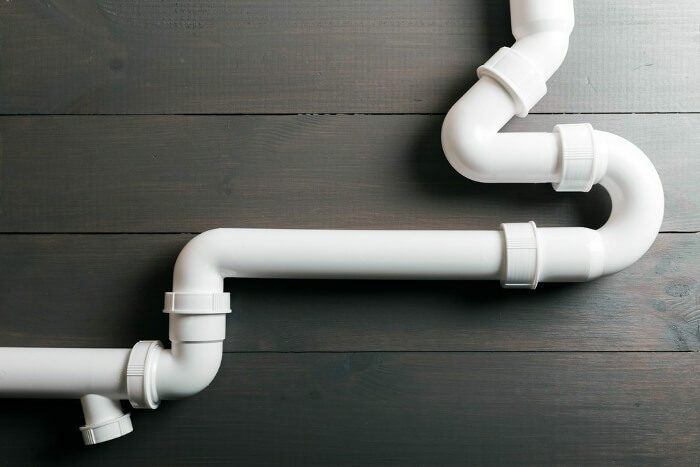 Even if an overflow does not take place, bad smells and odours can start to emanate from the pipes and up through your plugholes. How is Rainwater Dealt With? It is vital that rainwater is dealt with separately from waste and soil water from your home. This is because, during torrential spells of rain, the sheer amount of water the system will have to deal with can overload the system and cause overflows or even bursts. The downpipe can eject the liquid over a gully covered by a grid. The downpipe can be connected directly to the underground drainage system. Both of these methods can work perfectly, but it is vital that rainwater is taken away from your home so that it does not build up in your garden or fall unguided from the edge of your roof. At Clark Drainage we have years of experience in installing functional drainage systems in both domestic and commercial settings. From making extensive repairs and updates to ripping out and installing a new system in its entirety, no job is too big or small. We also carry out emergency repairs and scheduled maintenance. With technicians available round-the-clock 365 days a year, there is always someone available to carry out effective, reliable, and affordable repairs. To speak to one of our operators today about what we can do for you, give us a call now on 0808 164 0776. Alternatively, complete our contact form, and one of our personnel will be in touch to organise a job as soon as possible.